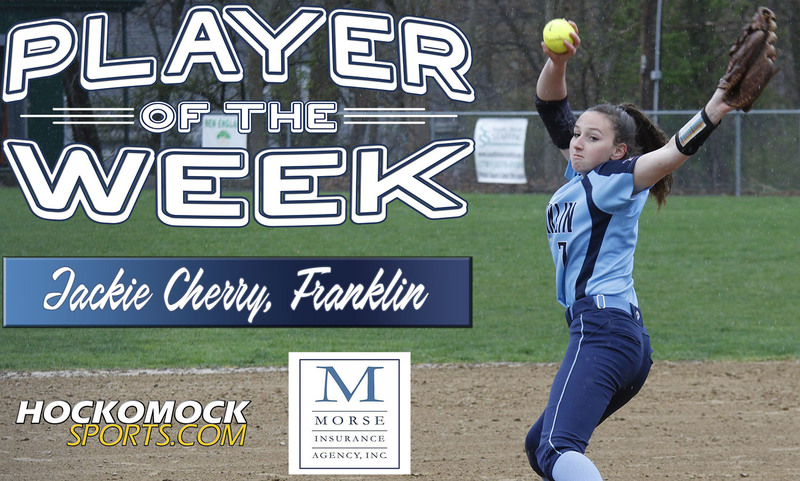 Franklin senior Jackie Cherry has been selected as the HockomockSports.com Player of the Week, presented by Morse Insurance, for March 31 through April 6. Cherry is the 24th player chosen as Player of the Week for the 2018-19 school year and the first player in the spring season. Cherry, a senior pitcher, opened the season with a no-hitter against defending division champion King Philip, providing the perfect start for a Panthers squad aiming to get back into postseason contention this spring. Franklin beat the Warriors 2-0 and Cherry was able to shut down one of the most potent lineups in the Hock. On Thursday, Cherry allowed no hits and struck out 10 in a complete game win over the Warriors, who reached the Div. 1 South final last season. She only allowed four baserunners all game, three on walks and one who reached on an error, and continued to battle through a pitcher’s duel against KP starter Faith Turinese. Cherry finished last season with a 3.76 ERA and 77 strikeouts. FRANKLIN, Mass. 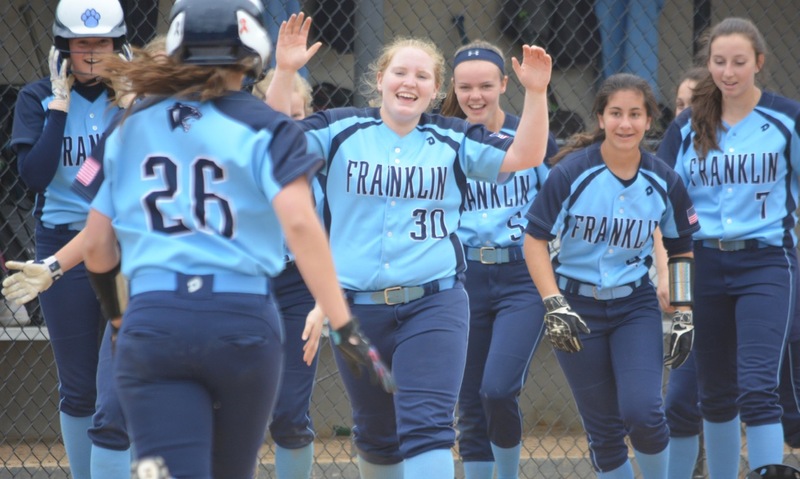 – On Monday afternoon, Franklin’s late-game heroics earned them their ninth win of the season and a chance to earn a playoff bid on Wednesday night against Bridgewater-Raynham. Things didn’t get going for either side offensively until the third inning, as Jackie Cherry (CG, nine strikeouts) and Julia Ferry (CG, 11 strikeouts) matched each other almost pitch for pitch. In the bottom of the third, with two outs in the inning, Allie Shea reached on a walk, and Anna Balkus reached on a bunt single, putting runners on first and second for Franklin. A single from Maddy White loaded the bases, and Cherry helped herself with a bloop single into center that cleared the bases and put Franklin up 3-0. “I think the inning we gave up the three runs was a couple of popups that fell in, I told my outfielders they were playing too deep, they went up three runs, scored the three runs on us, luckily the following inning we came right back,” said Bridgewater-Raynham coach Michael Carozza of Franklin’s offense in the third. In the top of the fourth, B-R struck back, as with one out, Hannah Rideout and Summer Sheerin hit back-to-back singles, and then a throwing error on Jill Johnson’s groundball allowed Rideout to score. Ferry helped herself out with a bloop single that fell just inside the first base line which scored Sheerin and Johnson to tie the game at three apiece. B-R almost struck again in the fifth, as Alexis Silva led off with a single, and after Cherry struck out Cecelia Barton and got Kylee Piche to pop out, Rideout and Sheerin were both hit by pitches to load the bases. Franklin was able to get out of it, as Emily Newcomb popped out to short to end the inning. In the top of the seventh, with the game still tied, Silva came through with another leadoff single and then stole second. After Barton popped out, Franklin’s throwing error allowed Silva to score and put B-R up 4-3. 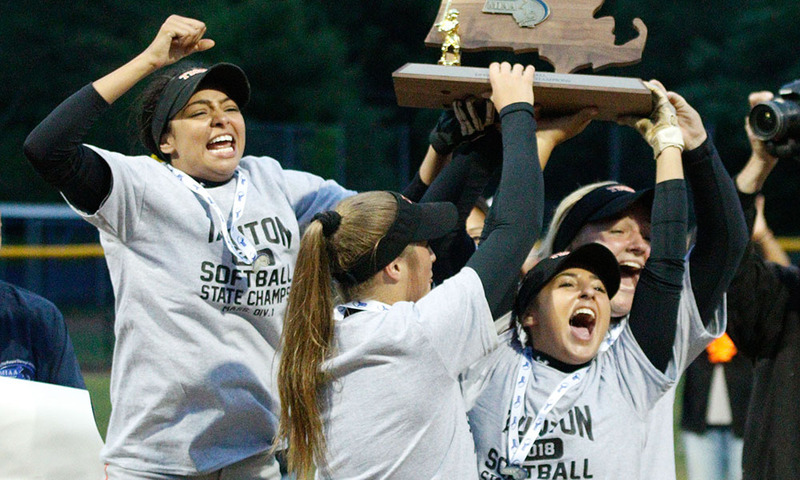 Bridgewater-Raynham put runners on second and third and Sheerin bunted, but Franklin didn’t make a throw, and Cherry retired the next two batters to get out of the inning. In the bottom half of the inning, Ferry struck out the first two Franklin hitters, but Gabby Golace got on with a single to right. After Shea singled, Franklin had runners on first and second, but couldn’t manage to bring them home, as they took the 4-3 loss. With the loss, Franklin’s season ends with a record of 9-11. With only one senior on the roster, the Panthers will look to build on their success and improve next year as they’ll bring back largely the same team. “As long as we work hard in the offseason and do everything we can between now and next season to get better, I see us being a pretty decent contender for next year, but it will all depend on how much work we put in from now until then,” said Franklin coach Kate Fallon-Comeau about Franklin’s prospects next year.